Home | Marketing | Trade Shows | 12 Visitor Types to Trade Shows: Are You Attracting the Right One? 12 Visitor Types to Trade Shows: Are You Attracting the Right One? The trade show floor is full of different types of people with different agendas. Some people have specific goals for attending the show; others do not. As an exhibitor your observation and questioning skills will be your key to determining who may be a viable sales prospect. 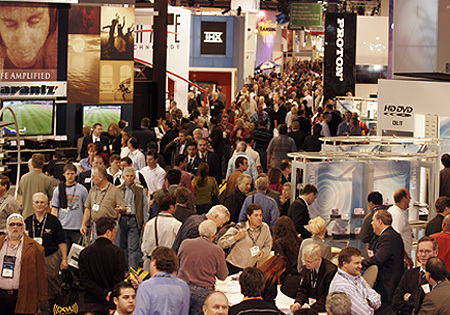 Familiarize yourself with the various visitor types likely to frequent the trade show floor. If you have done a thorough job of preshow marketing, definite prospects and customers will visit your booth. Watch out for passers-by who are attracted to your booth by a demonstration or other activity. These could be valuable prospects or time wasters. Ask a few short, open-ended questions to find out. These types could be curious about anything what exactly your company does, a graphic, who designed your booth, and so on. Do not spend too much time with someone who is just interested in the design and construction of your booth or intricate details about your graphics. Some people love to collect literature or just take any piece of paper no matter what it is. Are they attending the show to research the market for a boss? If so, they may be an influencer worth pursuing. These types are usually extremely friendly; they smile and their whole body language says, please talk to me. Questioning will determine whether or not they are prospects worth pursuing. Winning contests is their passion. They are always ready, willing and able to drop a business card into a fishbowl for any kind of drawing. Contests that require more than just a business card to enter will help deter these types from finding their way onto your follow-up lists. Any kind of giveaway attracts these types. They may even want more than one for family, friends and colleagues. Keen questioning will ascertain if this visitor has potential. Some people in the crowd will simply not be interested in what your organization has to offer. They often let you know in no uncertain terms through their body language; for example, walking by purposely avoiding eye contact or chatting with a colleague. Waylaying these types will only upset them. These people attend shows for the sole purpose of selling you their products or services. Publication advertising representatives are a prime example. They are unlikely to be prospects, but you never know. If floor traffic is slow, it may be worth asking a few questions, if only to find out who they could refer you to. Trade shows are an excellent place to network and look for organizations who may have present or future job openings. As with Hawks, you may want to spend time with them during slow, unproductive periods. These types could be underlings in their organization sent to do some specific research. Never underestimate them. They may be extremely strong influencers. In addition, they probably know whom in their organization you need to contact. Time spent with them could be invaluable. Beware of the competition! These types often give themselves away by knowing too much or asking precise questions. Make sure that you do more questioning than talking so that you lessen the chances of giving away valuable information.